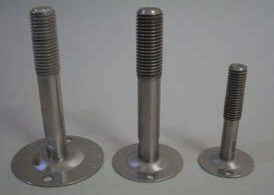 These adjustable levelling feet are ideal for heavy industrial, light industrial, commercial or workshops. The adjustable levelling foot can solve problems with uneven or sloping floors and are applied to furniture, cabinetry, machinery, benches and shelving. For machinery, there is a special pad in the base which help to absorb vibration and movement. 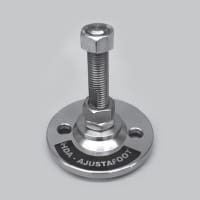 Within our A-Justa-Foot range, we can supply ball jointed, bolt down and fixed adjustable levelling feet in a range of sizes for general area use or even specifically wet area use. So whether you need to level and angle, or level and bolt down for absolute no movement we will have an adjustable levelling foot that is right for you, and your purpose. 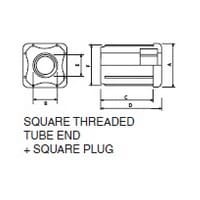 We also supply top quality and long lasting threaded tube inserts. Talk to us today about your needs and give us a call, email or come into our Osborne Park warehouse today.